In Europe, APS Training employs the Slingsby T-67M 200 Firefly. As a fully certified aerobatic aircraft (+6/-3G) and because of the side by side configuration, the Slingsby T-67M200 is ideally suited for upset recovery and advanced aerobatics training and will fulfill your team’s safety requirements. 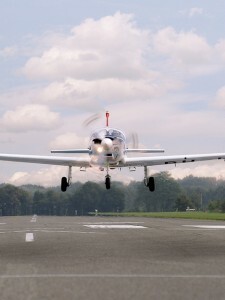 Despite the Slingsby T-67M200 superior performance and capabilities, all maneuver-based and scenario-based training exercises are taught in a manner that ensures each student is trained to apply recovery techniques within the performance envelope of their specific aircraft. Slingsby Aviation was well known for the construction of gliders until buying the rights to the Fournier RF6B basic trainer in 1981. The Firefly is a development of the Fournier RF6B. The RF6B first flew in March 1974, and Fournier built 45 RF6B100s powered by 75kW (100hp) RollsRoyce Continental O200 flat fours through to the early 1980s. In 1980 Fournier flew a more powerful development of the RF6B, the 87kW (116hp) Lycoming O235 powered RF6B120. It was this aircraft that formed the basis for Slingsby’s T67 Firefly. Slingsby initially built nine T67As, which were basically RF6B120s, before placing into production its own development of the type, the T67B. The T67B was the result of a fairly thorough redevelopment of the T67A. The main difference was that the T67B was made almost entirely from glassfibre reinforced plastics (GFRPs), Slingsby drawing on its very extensive experience in that field. The benefits of GFRP include better resistance to fatigue, less weight and less drag. The definitive civil version of the Firefly is the T67C. The T67C is similar to the T67B except for its more powerful 120kW (160hp) Textron Lycoming O320 engine. Variants of the T67C are the T67C1 with standard fuselage fuel tankage and one piece canopy, the T67C2 with a two piece canopy, and the T67C3 with wing tanks and three piece canopy. 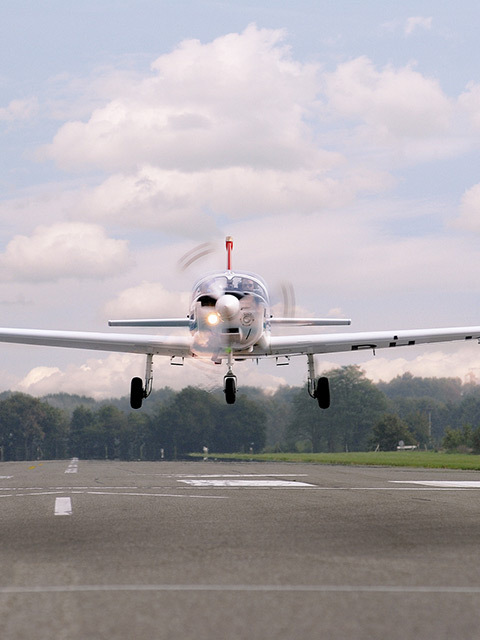 Many T67Cs have been sold to flying schools and academies (including KLM) while others are in military service. The military Firefly is the T67M, which first flew in December 1982. Many are used for military initial pilot training and screening, 113 T67M260s (powered by a 195kW/260hp AEIO540) were ordered by the US Air Force as the T3A Firefly, while some are used by civilian flight schools for airline and military training (the latter under government contract). T67Ms have aerobatic capable engines and two blade constant speed propellers, among other changes, compared with the T67C. Stay up-to-date on APS news!